Developing an employee-centric culture in the workplace requires a long-term strategy and on-going efforts to measure employees’ happiness and wellbeing. Ahead of the 2018 Employee Experience UK Conference we spoke with Lindsay Beresford, Head of Employee Experience, Royal Mail & Kim Atherton, Chief People Officer, OVO Energy. 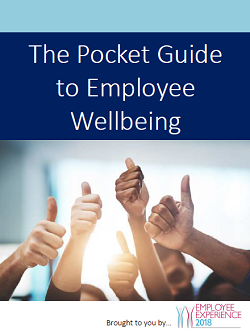 This pocket guide explores their insights on employee wellbeing to help you meet the health and wellbeing needs of your organisation and outline how you can leverage physical and digital wellbeing assets to produce tangible results for your business.